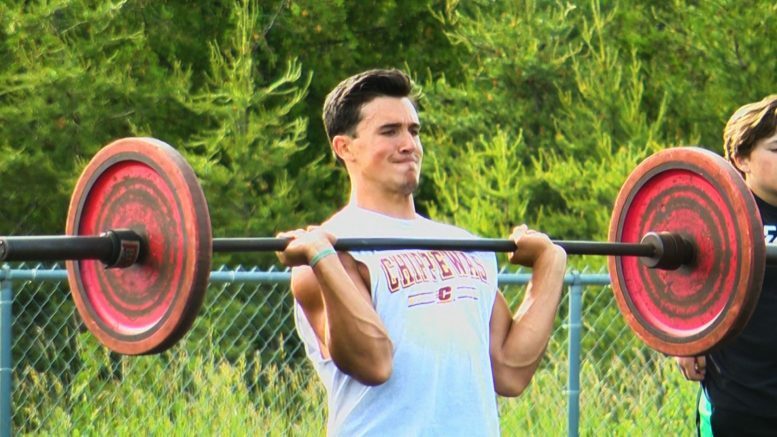 Wildcat Senior Logan Guthrie acquired an offer to play Outside Linebacker for the Division I Chippewas, and based on his Junior season he put up strong numbers on defense. The Wildcat contributed 62 total tackles, 9 for loss of yards, 44 solo tackles, 2 forced fumbles and one sack. On the offense Guthrie led the Big North Conference as the leading rusher in 2016 and 2017. The 6-foot-one 220 pound Senior works hard during the off-season and Alpena Head Coach Aaron Sims appreciates that the most. Guthrie held two Division II offers before receiving an offer from three-year CMU Head Coach John Bonamego. The linebacker feels comfortable with Central Michigan University and would like to compete for the Chips.